Last week, you'll remember, Mumford & Sons' Babel trounced new albums by such heavyweights as Green Day and No Doubt. This week, Babel stays on top of The Billboard 200 for a second week, but the big surprise is that Green Day's Uno! and No Doubt's Push And Shove both drop out of the top 10. Uno! drops from #2 to #11. Push And Shove drops from #3 to #13. It's increasingly common for albums to fade quickly after big (or even not-so-big) first weeks. Of the five albums that debuted in the top 10 last week, only Babel remains. Albums by Lupe Fiasco and Deadmau5 also drop out this week. This is particularly bad news for Green Day and Lupe Fiasco, whose albums have sequels scheduled for release. If the first installment drops out of the top 10 after one week, that doesn't exactly bode well for the series. A few albums are defying this "here today, gone tomorrow" trend. Little Big Town's Tornado has spent the past four weeks in the top 10. P!nk's The Truth About Love has been in the top five for the past three weeks. And of course, there are a few smash albums that are really defying the trends. Adele's 21, which ranks #14 this week, has sold 9,875,000 copies. Mumford & Sons' previous album, Sigh No More, which ranks #20, has sold 2,497,000 copies. Babel sold another 169K copies in its second week, bringing its two-week total to 769K. 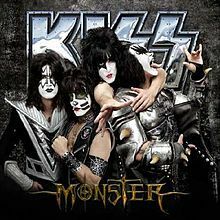 It's already the year's best-selling rock or rock-leaning album, ahead of Gotye's Making Mirrors (662K), .fun's Some Nights (658K) and The Black Keys' El Camino (559K). Among all albums, it's already #8 for the year. How high can Babel go on the year-to-date chart before the year ends? Adele's 21 has a seemingly insurmountable lead, having sold 4,052,000 copies so far this year. Taylor Swift's Red, which is due Oct. 22, could easily wind up #2 for the year. Swift's last two albums, Fearless and Speak Low, each sold more than 2 million copies in the closing weeks of the year. Shameless Plug: I previewed the year-end album chart in a Chart Watch Extra that went up Friday. Babel sold 88K digital copies this week, putting it at #1 on Top Digital Albums for the second week. This brings its digital sales, after just two weeks, to 508K. Mumford & Sons' previous album, Sigh No More, took 53 weeks to sell 500K digital copies. Only one other album in digital history has sold 500K copies this quickly. That was Lady Gaga's Born This Way, which did it in just one week in May 2011 (boosted by a 99-cent sale at Amazon MP3, which accounted for an estimated 400K of its 662K first-week digital sales). 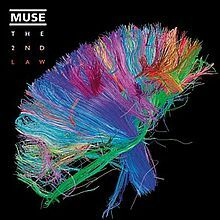 Muse's pThe 2nd Law debuts at #2. It's Muse's third top 10 (and highest-charting) album, following Black Holes And Revelations (#9 in 2006) and The Resistance (#3 in 2009). The latter album won a Grammy as Best Rock Album. Muse was on Saturday Night Live this past weekend. The 2nd Law debuted at #1 on the Official U.K. chart. It's Muse's fourth #1 album in its home country. Both Mumford & Sons and Muse are British. Billboard's Keith Caulfield notes that this marks the first time that British rock bands have held down the top two spots on The Billboard 200 since May 9, 1992, when Def Leppard's Adrenalize was in its fourth week at #1 and The Cure's Wish debuted at #2. Miguel's sophomore album Kaleidoscope Dream debuts at #3. It's his first top 10 album. 2010's All I Want Is You peaked at #37. In the past 18 months, Miguel has amassed three #1 hits on Hot R&B/Hip-Hop Songs: "Sure Thing," Wale's "Lotus Flower Bomb," on which he was featured, and "Adorn." Incidentally, Sara Bareilles had a #1 album in September 2010 titled Kaleidoscope Heart. Diana Krall's Glad Rag Doll debuts at #6. It's her fifth top 10 album, which is more than any other female jazz artist in history. She pulls ahead of Nancy Wilson, who reached the top 10 with four albums in 1964-1965. Wilson's albums, including How Glad I Am, blended elements of pop, R&B and jazz. Peggy Lee also had four top 10 albums from 1948 to 1955, but she was generally considered a pop singer at the time. Lee died in 2002. Wilson, 75, is still going strong. She won Grammys in 2005 and 2007 for Best Jazz Vocal Album. Glad Rag Doll enters Top Traditional Jazz Albums at #1. It's Krall's 10th #1 album on that chart. 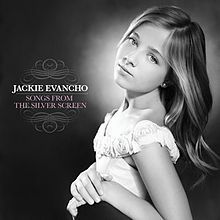 Jackie Evancho's Songs From The Silver Screen debuts at #7. It's the third top 10 album for the precocious singer, who is, amazingly, just 12 years and six months old. Pop Quiz: Only one other artist in chart history has amassed three top 10 albums at such a young age. He fronted a group. Name that artist. Answer below. Artists have been recording top 10 albums filled with movie songs almost as long as there have been albums. Rosemary Clooney and Harry James had a hit album in1952 titled Hollywood's Best (it consisted of Oscar-winners for Best Song). Percy Faith and His Orchestra scored in 1953 with Music From Hollywood. A recent example is Barbra Streisand's 2003 album The Movie Album. Two artists who are signed to Simon Cowell's Syco Entertainment are listed in this week's top 10. There's the aforementioned Jackie Evancho and also Cher Lloyd, whose Sticks & Stones debuts at #9. The album reached #4 on the Official U.K. chart. Lloyd's "Want U Back" peaked at #12 on the Hot 100. Other current artists on Syco's roster include Il Divo, Leona Lewis, Susan Boyle and One Direction, all of whom have had #1 albums on The Billboard 200. 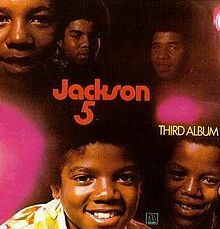 Quiz Answer: Michael Jackson was just 12 years and one month old the week of Oct. 10, 1970 when he landed his third top 10 album with the Jackson 5. Zac Hanson is in third place. He was 12 years and seven months old the week of May 30, 1998 when he landed his third top 10 album with Hanson. Van Morrison's Born To Sing: No Plan B debuts at #10. It's the rock veteran's second top 10 album. Morrison first cracked the top 10 in April 2008 (after more than 40 years of chart success) with Keep It Simple. Morrison first cracked The Billboard 200 in October 1967 with Blowin' Your Mind!. The top three entries on Hot Digital Songs are all new entries. 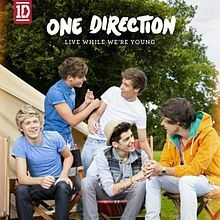 One Direction's "Live While We're Young" debuts at #1 with first-week sales of 341K. Taylor Swift's "Red" bows at #2 (312K). Adele's "Skyfall" starts at #3 (261K). But the race for #1 on the Hot 100 (which also factors in radio airplay and on-demand streaming activity) appears to be between PSY's "Gangham Style" (257K) and Maroon 5's "One More Night" (167K). Which will prevail (or will one of the new entries cause an upset)? You'll find out later today when we post Chart Watch: Songs. The Top Five: Mumford & Sons' Babel holds at #1 for the second week (169K)…. Muse's The 2nd Law debuts at #2 (102K). It's the band's third top 10 album…Miguel's Kaleidoscope Dream debuts at #3 (71K). It's his first top 10 album… P!nk's The Truth About Love holds at #4 for the second week in its third week (52K)… Three Days Grace's Transit Of Venus debuts at #5 (48K). It's the band's third top 10 album. The Second Five: Diana Krall's Glad Rag Doll debuts at #6 (46K). It's her fifth top 10 album…Jackie Evancho's Songs From The Silver Screen debuts at #7 (41K). 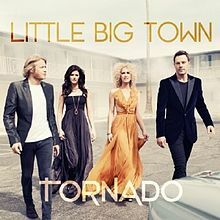 It's her third top 10 album or EP… Little Big Town's Tornado rebounds from #9 to #8 in its fourth week (31K). It's #1 on Top Country Albums for the fourth week… Cher Lloyd's Sticks & Stones debuts at #9 (31K). It's her first top 10 album… Van Morrison's Born To Sing: No Plan B debuts at #10 (29K). It's his second top 10 album. Seven albums drop out of the top 10 this week. 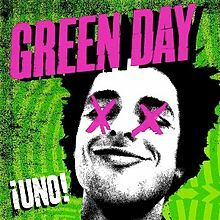 Green Day's Uno! drops from #2 to #11, No Doubt's Push And Shove drops from #3 to #13, Lupe Fiasco's Food & Liquor II: The Great American Rap Album Part 1 drops from #5 to #18, deadmau5's >album title goes here< drops from #6 to #28, Kanye West Presents GOOD Music Cruel Summer drops from #7 to #12, Dave Matthews Band's Away From The World drops from #8 to #19 and The Killers' Battle Born drops from #10 to #29. 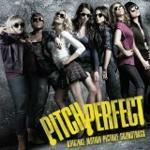 DJ Drama's Quality Street Music debuts at #15…The Pitch Perfect soundtrack sprints from #43 to #16 in its second week. It's #1 on Top Soundtracks for the second week. The movie about a college acapella singing group was #3 at the box-office over the weekend, behind Taken 2 and last weekend's leader, Hotel Transylvania. Papa Roach's The Connection debuts at #17. It's the band's sixth top 20 album…Heart's Fanatic debuts at #24. The veteran band is vying for induction into the Rock and Roll Hall of Fame…Cody Simpson's Paradise debuts at #27. Simpson, 15, is an Australian pop singer and budding teen heartthrob. 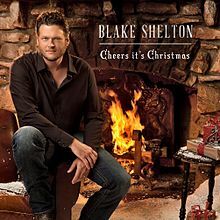 Blake Shelton's Cheers It's Christmas debuts at #52. This is the season's first Christmas album to crack The Billboard 200. Among the big Christmas albums coming up: Scotty McCreery's Christmas With Scotty McCreery, Lady Antebellum's On This Winter's Night and Rod Stewart's Merry Christmas Baby. Michael Jackson's 1987 album Bad drops from #52 to #85 in its 98th week on the chart. This is its third straight week at #1 on Top Catalog Albums. The 25th anniversary edition, Bad 25, which is listed separately, drops off The Billboard 200 after just two appearances. Ouch. One Direction's Up All Night—The Live Tour holds at #1 on Top Music Videos for the 18th week in its 19-week chart run. Coming Attractions: Mumford & Sons will probably log a third week at #1 next week, but Macklemore & Ryan Lewis' The Heist is expected to be the top new entry, with sales in the 70K range. Also due: Kiss' Monster (about 60K), MGK's Lace Up (50K),Barbra Streisand's Release Me (40K), Coheed and Cambria's The Afterman: Ascension (35K), All Time Low's Don't Panic (35K), Ellie Goulding's Halcyon (30K) and The Script's #3 (25K).